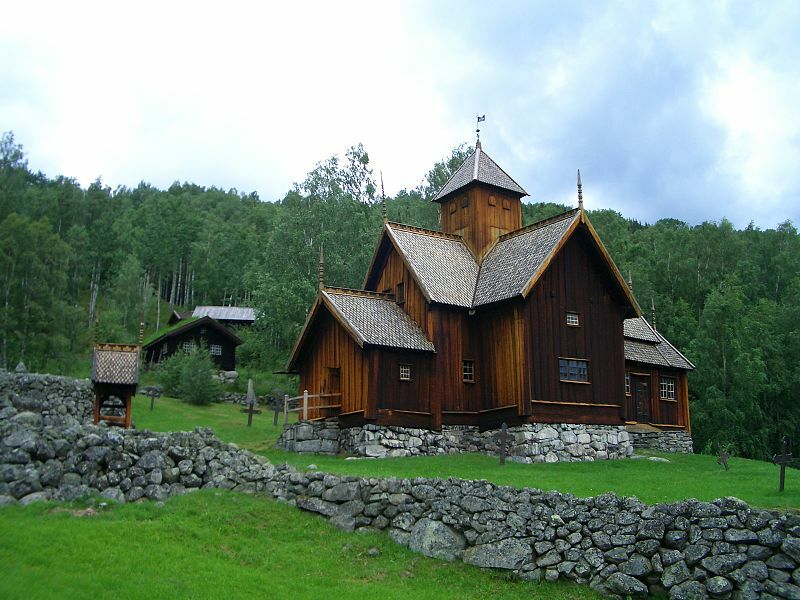 Uvdal Stave Church is located in Nore and Uvdal municipality in Buskerud County. On the basis of coin finds during archaeological excavation, it is estimated that the church was built in the late 1100’s. Through dendrochronological technology, scientists have proved that some parts of the church dates back to around the year 1168. The church nave measures about 16.4 feet (5 m) wide and 19.6 feet (6 m) long, and is the only remaining part of the original church. Through scientific research it is reasonable to believe that the western nave was extended around 1350, when the Black Death ravaged the country. 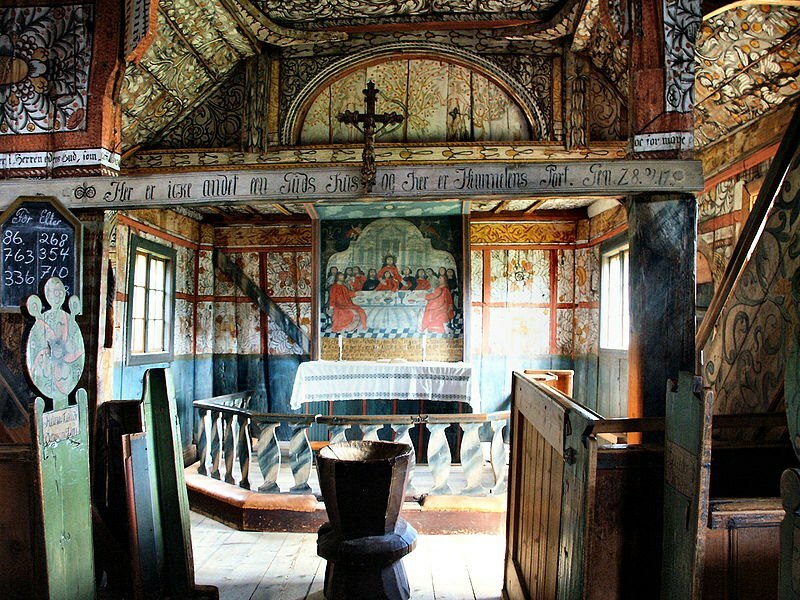 Uvdal Stave Church has a rich decor with unique rose paintings and woodcarvings. The original decorative paintings are still visible on the walls and ceiling. Most of the interior from the 1600’s and 1700’s are very well preserved. 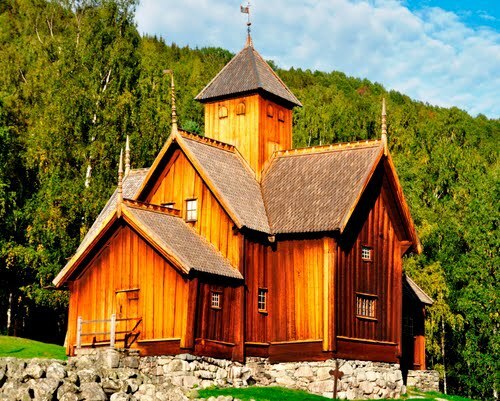 The church is therefore one of the most important and interesting stave churches in Norway. In 1978, excavations were made below Uvdal Stave Church. As the interior, floor boards and soil masses under the floor were removed historical information about the church and the local society appeared. The finds were important material for archaeologists. According to ancient Norwegian customs, the priest had the right to be buried inside the church, while others had buy themselves such a right. This was something the congregation disliked, and in 1805, the prohibition against being buried below the church floor was adopted. The dry ground on which the Uvdal Stave Church is built upon has made the skeletons, and partly coffins, remain in good condition. In other parts of the country it was common to put the dead in a coffin whether they were buried in a cemetery or below the church floor. However, below the floors of Uvdal Stave Church strikingly many graves with no coffin were discovered. The church seats 170 people and is a very popular tourist attraction in Norway. 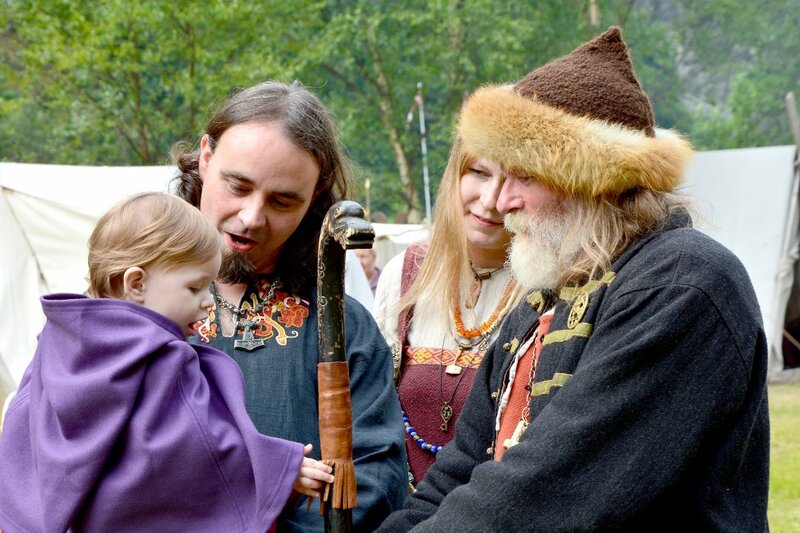 Today, it is owned by the Society for the Preservation of Ancient Norwegian Monuments (Fortidsminneforeningen), and some church ceremonies are still being performed at Uvdal Stave Church.